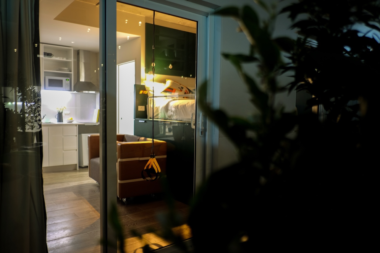 Rebecca Dracup from Wood and Grieve Engineers spent a night in UKO Stanmore – Sydney’s newest co-living space – and gave it two thumbs up. Am I excited? Yas. This is on par with avocado on toast for brunch. The most connected generations – Generation Z and Millennials – have some of the highest rates of loneliness in the UK and the US. Australia is showing similar signs. Research from the Journal of Psychological Medicine shows that there is a a concerning link between mental health and loneliness in Millennials. Many of us have personally experienced feelings of isolation and animosity when living in an apartment block, despite the proximity of so many people. 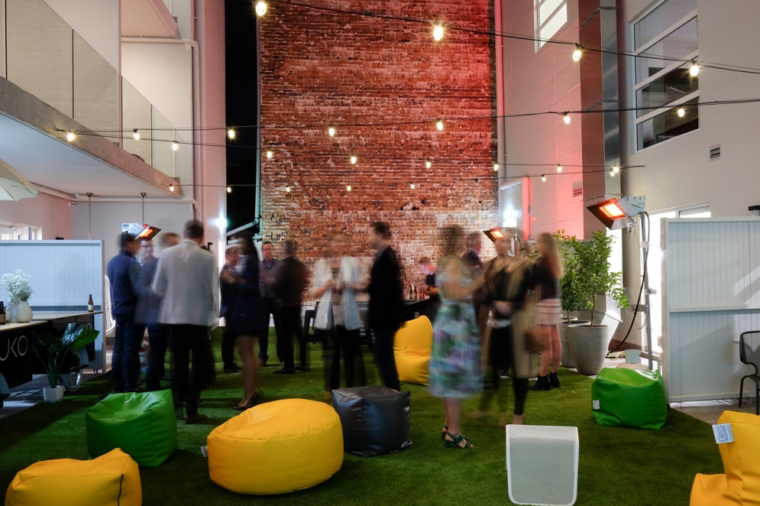 Co-living offers an alternative to this current scenario, one that ticks many boxes for young Australians. I wasn’t sure what to expect from my night at Sydney’s newest co-living space, UKO Stanmore. I was told that there was a group of us, all Millennials, staying in rooms overnight. There would be dinner on Friday night, a yoga class on Saturday morning, and a food preserving class. It all sounded a bit inner west, which suited me perfectly. 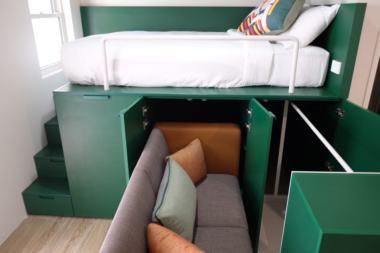 I thought the project had adopted “co-living” as a buzz word to make apartment living appealing to young adults, and that it would be no different from a standard apartment complex but with funky modular furniture. So it came as a surprise when I was introduced to a rapidly growing global community concept. Co-living, in this new context, is far from a hippie commune. I found it similar to a university college, but with greater independence and freedom, and everyone is working instead of studying. 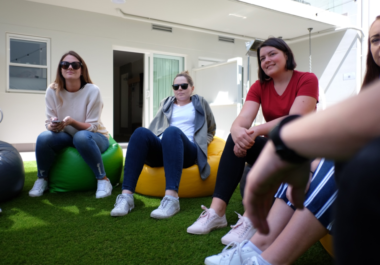 Typically, co-living means having small personal spaces, with an ensuite and basic cooking facilities, and large communal areas for work, play, and learning. They may be targeted towards flexible workers, travelling entrepreneurs, or nomad Millennials. I definitely see its potential for young professionals searching for their own space without having to deal with real-estate agents, or buying and moving carloads of furniture. The UKO (pronounced you-co) Stanmore rooms each came with furniture, so there is no need to buy additional furnishings. The minimum furniture included in each room was: a bed, fold-out sofa, TV, bedside lamps, full length mirror, study desk, chair, and a wardrobe. As soon as I walked into my room I felt like I was at home, not in a lifeless hotel room, or a bland serviced apartment. The following is a selection of my favourite aspects noted during the 17 hour stay at UKO Stanmore. I love watching tiny apartments in Hong Kong with moveable internal walls, fold-up beds, and extending tables. It’s hard to afford space, especially if you’re not willing to compromise on commute times. Each room has functionality packed into every corner. Modular furniture was custom designed for each room and power points were located in all the right places (not hidden behind the couch). There are also lots of pegs in the rooms to hang items, like paintings or bags. There is an active interest in the people who will live there and a desire to foster a friendly and innovative network of residents. A goal of the space is to provide tenants with access to both strong personal and professional networks. There is a minimal amount of cleaning to be done, by virtue of the size of each unit. Pushy real estate agents and their one-year contracts don’t need to be dealt with. All the furniture is there. Simply pay and start living. This was probably an acoustic requirements considering the traffic on Parramatta Road (bring on electric vehicles, trains, and bike paths please). Regardless of the motivation, the room was a very comfortable temperature even though it was cold outside. Unfortunately, despite the double-glazing and acoustic sealing around the windows and doors, the door didn’t quite close properly. A gap between the seals meant it was still noisy at night. I understand this will be fixed after the trial. The central courtyard has been modelled on a European town square, where locals have frequent random contact due to its central location and ease of access. 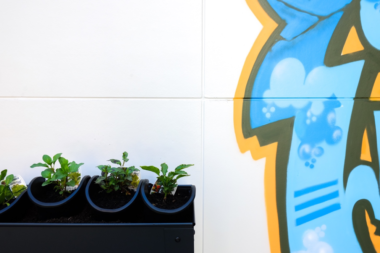 Each resident also has access to a Sydney CBD co-working space. The $500-plus a week rent starts to look very inviting for those seeking flexibility in where they work, and for freelancers combining work with travel. There’s a worm farm, and vegetable and herb gardens. The units are oriented north-south, with the dominant façade facing north. There is no air-conditioning or heating, or need for it either, as each dwelling has a wall-mounted fan and cross ventilation. Having said this, I would like to see the added introduction of security screens on the doors to allow cross ventilation on summer nights. I also appreciated the thick curtains which helped to trap cold/hot air near the window, and acted as an added barrier to temperature fluctuations. There are also the obligatory communal bike racks, and less duplication in amenities thanks to the communal set up, such as the kitchen with oven and freezer. Co-living is a sub-market of the build-to-rent sector, and at UKO Stanmore, the sizes of the rooms range from 24 to 30 square metres. UKO by Alex Thorpe and Rhys Williams is opening in Stanmore, Paddington and Newtown, and has a co-working space already in operation in the Sydney CBD. In London there’s The Collective and WeLive by WeWork has opened in the US. Other global operators include Nomad House and Roam. Rebecca Dracup is a Sustainability Project Engineer at Wood and Grieve Engineers and a winner of Engineers Australia Young Environmental Engineer of the Year. Disclaimer: Rebecca was invited to spend a trial evening at UKO Stanmore but was not requested to write an article or paid to do so. Better designed apartment living is indeed a key response to Australia’s housing sustainability and affordability issues. The article says that rooms are pre-furnished and 24-30sqm; it is unclear whether ensuites are included in the space calculation. The modular furniture picture indicates an elevated sleeping platform and all sorts of pull-out joinery. However, as with ‘Tiny Homes’, an unintended, and overlooked, consequence of this sort of response to Australia’s housing affordability issue is that, overall, the usability of Australia’s housing stock decreases, inaccessibility increases, and people with disability are left with ever-diminishing choice in where to live. I lived in 26 different share housing arrangements as a young baby boomer – totally enjoyed it – endless fun, a great social experience. Recommend it for young people – if they can get their faces out of their small screens. Tip – observed recently in Germany and Europe – people in public are almost never seen staring at a small screen unless they are alone – even two teenagers in McDonalds simply maintain eye contact and talk to each other with smartphones kept in their pockets – amazing compared to Australia !